i got to spend saturday celebrating baby titus' coming with lindy and her family. and at one point in the day, i discovered mary like this. i am resigned to the fact that mary is just one of those kids. 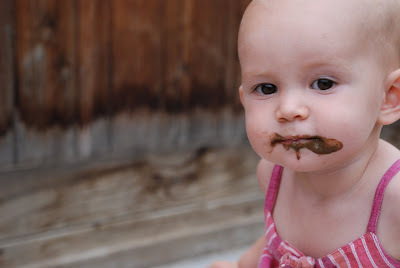 It's not Poop and It's not Chocolate. It's something in between :) Love that girl.